Bassist Rufus Reid was born on February 10, 1944 in Atlanta, Georgia. Reid grew up in Sacramento, playing trumpet through his school years and even when he was in the Air Force. However while serving in the military, he became interested in switching to bass, after his discharge he extensively studied the instrument (getting a degree from Northwestern University) and he has worked steadily as a bassist since 1970. 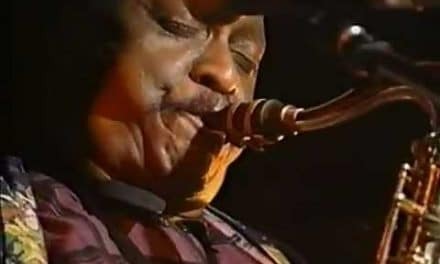 Reid made his recording debut in 1970 on a session with Dexter Gordon and Gene Ammons, working regularly in Chicago during 1970-76 until he moved to NYC. Among his key musical associations have been Eddie Harris, Lee Konitz, Dexter Gordon, the Thad Jones/Mel Lewis Orchestra, Kenny Burrell, Jim Hall, Ricky Ford, Art Farmer, J.J. Johnson, Ray Bryant, Stan Getz, Joe Henderson, and Kenny Barron among countless others, also accompanying a variety of singers and occasionally playing in more avant-garde settings (including with Henry Threadgill and Andrew Hill). Reid, who has led occasional albums of his own, co-led the group TanaReid with drummer Akira Tana in the 1990s and became an influential educator. He is featured performing “Have You Met Miss Jones” in a 1990s trio with pianist Mulgrew Miller and drummer Lewis Nash.